Saitek is pleased to announce that for the first time we are sponsoring and exhibiting at FlightSimCon at the New England Air Museum. In addition to exhibiting our Pro Flight Simulator products, we’ll have givevaways and possibly some important announcements. Frooglesim will be stopping by the booth so you can visit him as well. We’ll have more details as the weekend approaches so stay tuned! If you are a desktop flight simulation enthusiast or a pilot looking for more information about how desktop flight simulation can benefit you—this event is for you! FlightSimCon is an annual aviation and flight simulation conference designed to bring pilots and flight simmers together in an interactive social setting. Conference attendees have the opportunity to meet other simulation enthusiasts, experience how online flight simulation can benefit student and rated pilots, and engage with exhibitors and speakers to learn about improving their desktop flight simulators. 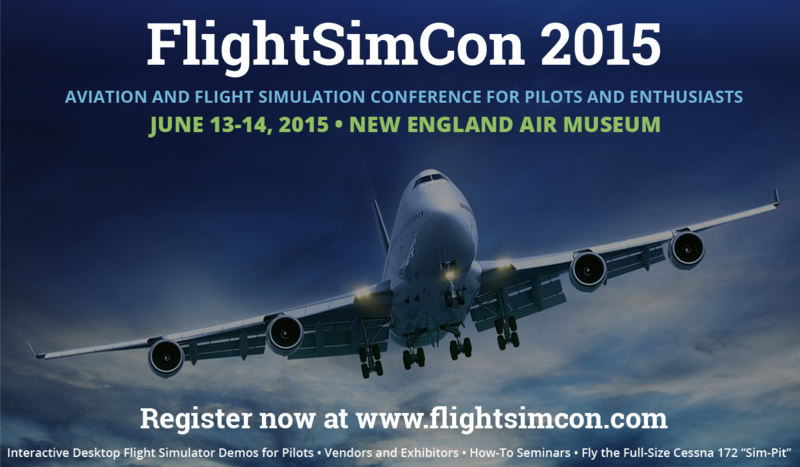 Go here now to register for FlightSimCon!